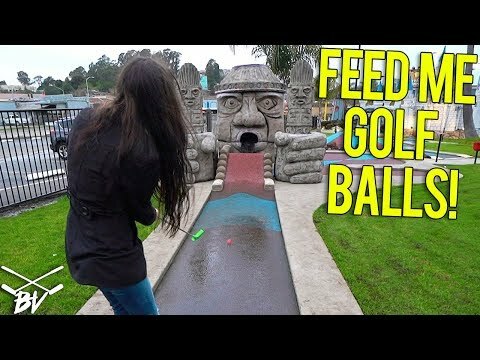 ﻿ THE BEST AND WORST MINI GOLF PUTTS ALL IN ONE GAME! - LUCKY MINI GOLF HOLE IN ONE! THE BEST AND WORST MINI GOLF PUTTS ALL IN ONE GAME! - LUCKY MINI GOLF HOLE IN ONE! We are checking out the Enchanted Journey mini golf course at Golfland in Castro Valley, California. This is a fun mini golf course with some pretty fun mini golf holes. We do manage to get a fun lucky mini golf hole in ones at this mini golf course! Could you get a mini golf hole in one at this mini golf course? THAT IS YOUR BEST MINI GOLF HOLE IN ONE EVER!!! REACTION TO BEST WHITEBOY I HAVE EVER SEEN! w/mini James Harden? ?